Help transform your conservatory into a stylish and comfortable all-year-round living space with the addition of our quality made-to-measure blinds. 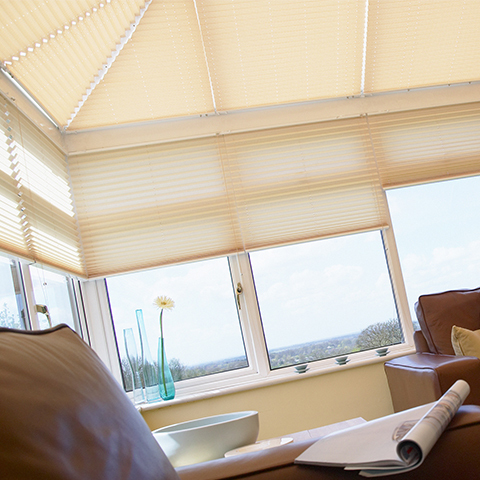 Both decorative and practical, blinds can be the finishing touch to your conservatory. 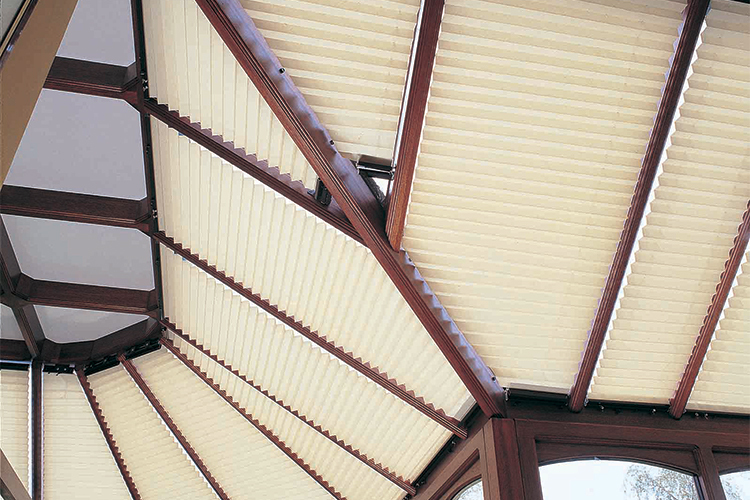 Conservatory roof blinds are an ideal solution to maintaining a comfortable internal temperature throughout the year. Choose conservatory blinds from plain and simple to bold and extravagant, and add character to your conservatory or orangery for all round round living. Our conservatory blinds are manufactured using the latest systems and fabrics, providing you with a host of opportunities to create the required degree of privacy and shade in combination with whatever design statement you wish to make in your home. From subtle to bold and translucent to opaque, our conservatory blinds provide you with the ideal solution to decorating your conservatory, orangery or sunroom. Red Rose Blinds based in Preston is one of the North West’s leading blinds manufacturers for conservatories & orangeries. We have over 28 years’ worth of experience in supplying homeowners across Lancashire with the products, ideas and inspirations required to give their property a more contemporary feel. All conservatory blinds can be made-to-measure as we have a vastly experienced set of City & Guilds qualified fitting teams. 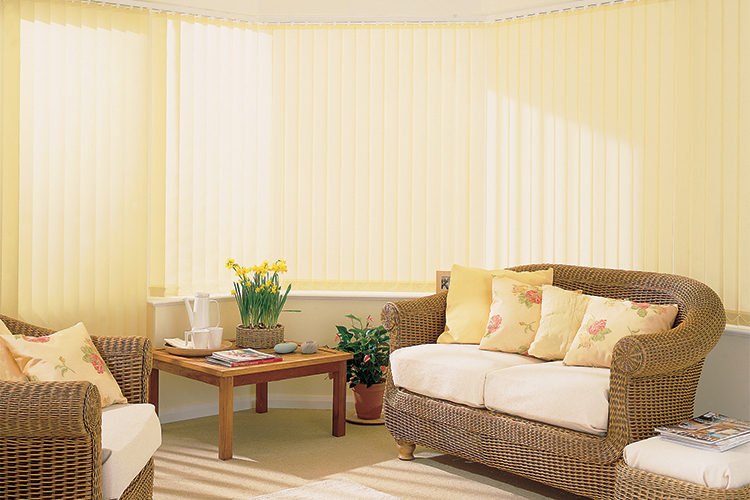 Red Rose Blinds really does offer outstanding service at the best possible price! Red Rose Blinds prides itself on offering a highly personalised, friendly and professional service at a competitive price. We insist on treating all domestic and commercial customers as individuals as we know how important it is that they receive the very best value for money.